Joy Jewelers is a leading online retailer of personalized jewelry, fashion trends and amazing value. 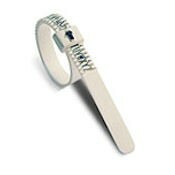 Their high quality selection, expert advice and 30-day returns make it a joy to buy jewelry. Fill out your information for your FREE ring sizer that will ensure an accurate fit.